The global edition of our Internet Statistics Compendium saw further expansion this month as the e-commerce chapter grew to accommodate fresh data looking at the rise of crowdfunding. Crowdfunding platforms (CFPs) such as KickStarter, Indiegogo and Sponsume are providing another option for musicians, social enterprises, writers, artists and start-ups to raise capital for their projects. 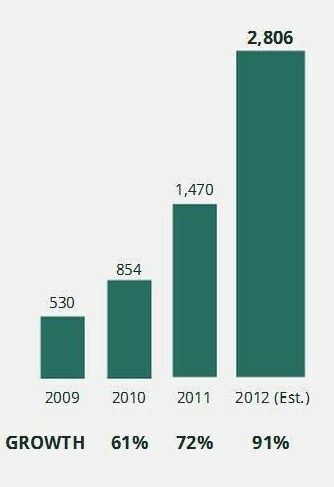 During a month which saw a number of high-profile crowdfunding milestones – including cult musician Amanda Palmer reaching $1m to fund her new record via KickStarter and Indiegogo closing a $15m series A funding round – industry website Crowdsourcing.org have also published a report bringing together data from themselves and Massolution, as well as from 130+ CFPs. The emergence of CFPs around the globe is accelerating. 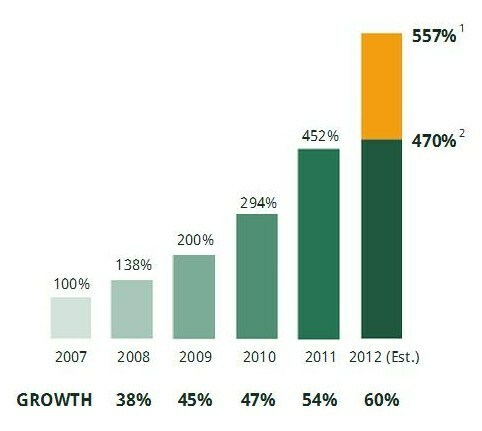 By the end of 2012 there are expected to be more than 530 platforms, up 60% since last year. Crowdsourcing.org breaks these down into four categories: Donation-Based, Reward-Based (accounting for the majority), Lending-Based and Equity-Based. 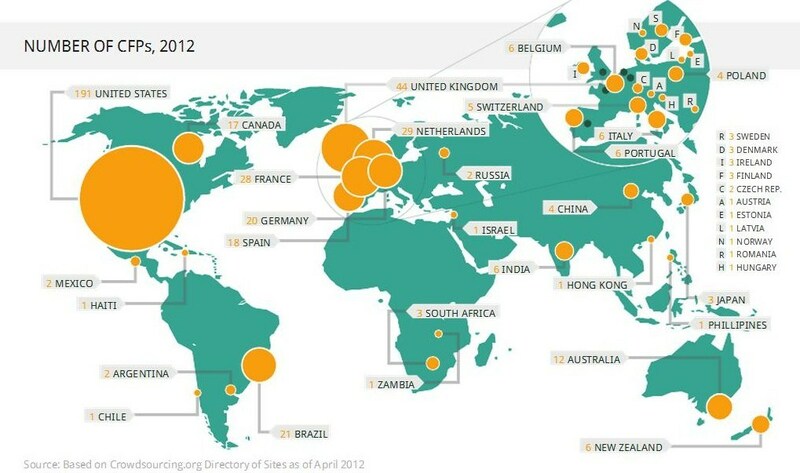 The US leads the crowdfunding trend, with 191 CFPs currently based in the country. However, crowdfunding is also booming in Europe too, with 44 CFPs in Britain and 100+ in existence across the rest of the Eurozone. Led by the recent success of high profile and high capital funding campaigns on KickStarter and Indiegogo as well as the many thousands of smaller projects, Crowdsourcing.org predicts that the amount of money raised by CFPs during 2012 will reach $2,806m, up 91% since 2011. Looking at regional trends of capital raised, this is where Europe overtakes the US – with $654,000 successfully funded in 2011 compared to North America’s $532,000. As well as regional and financial trends, Crowdsourcing.org also looked into crowdfunding timeframes. On average, it takes around nine weeks for a crowdfunded project to complete, while Lending-Based projects generally reach their targets quicker (within 4.8 weeks). Although crowdfunding is not an altogether new phenomenon, the proliferation of networking tools such as Twitter, Facebook and YouTube as well as the increasing familiarity of social commerce among web users and businesses are contributing towards individuals and businesses seeing opportunity in new media channels for commercial endeavours. Successful crowdfunding campaigns are key micro-examples of creatively using social media and viral marketing techniques, by way of promotional videos and other dynamic content, which is then spread among niche communities via social networks. A key takeaway for marketers is that these projects tend to offer audiences many options of increasingly valuable ‘products’. These can be as small as a credit or a digital download, or something larger, rare or completely unique. It will be interesting to see the crowdfunding sector grow, and with the recently passed ‘Crowdfund Act’ in the US – it will be intriguing to see bigger and better projects getting off the ground or being taken to the next level by businesses and individuals looking to harness the enthusiasm of their audience and the power of digital technologies.